Users of Firefox have something to be happy about, as the nightly build for the web browsing application has received Chromecast support. Since it is a nightly build, users of the official release build in Google Play can’t access the feature, but with it being baked into test builds, it is undoubtedly coming soon to all users. Much like on Chrome, when you begin playback of a video, a Cast button will appear in the bottom corner of the video. 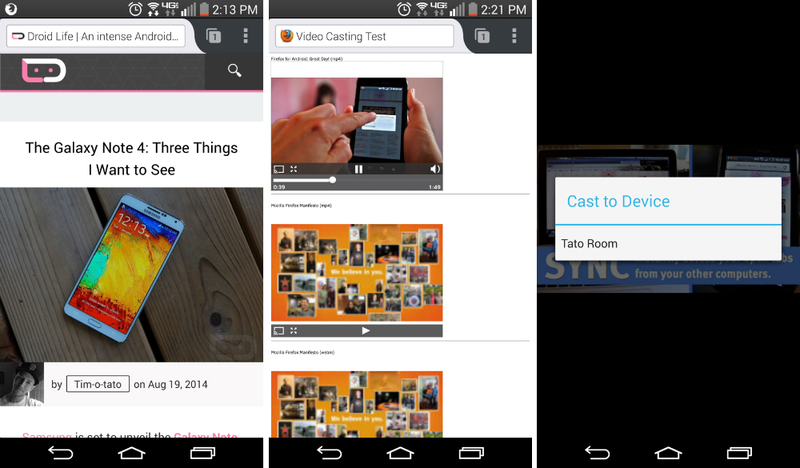 From there, you simply select which Chromecast you want to send the video to, and boom, it’s casting. To check out casting through Firefox in action, hit up Mozilla’s test site here on your mobile device with the Firefox nightly build installed.